Samuel 'Little Sonny' Brown of The Intruders wasn't your prototypical lead singer. His pipes were gritty and his pitch sometimes a mite tenuous. That only served to give the Philadelphia quartet an edgy, instantly recognizable and highly soulful sound that Kenny Gamble and Leon Huff selected as one of their early production projects. Little Sonny, Eugene 'Bird' Doughtry, and Robert 'Big Sonny' Edwards started out singing gospel in the City of Brotherly Love but soon went secular. They earned their name by crashing a party, being labeled intruders. They added Phil Terry in 1960 and made their first single, I'm Sold On You, for the Gowen label in '61. They moved up to Musicor in 1964 for But You Belong To Me before Gamble and Huff took the quartet under their fledgling wing. The producers started Excel Records with Kal Rudman and issued The Intruders' '65 single Gonna Be Strong, but there was already another Excel label. So Kenny used his surname for their new imprint after that. That's where The Intruders hit with (We'll Be) United in 1966, Brown's unconventional lead providing just the right touch on the lushly arranged Gamble/Huff composition. The Intruders made their first visit to the R&B Top Ten the next year on Gamble Records with the touching Together. Cowboys To Girls—another Gamble and Huff-penned and produced charmer with a slightly peppier beat and a cleverly nostalgic theme—shot them all the way to the top of the R&B hit parade and made a #6 pop impression. Arranger Bobby Martin, formerly saxist Lynn Hope's vibist during the '50s, would become a Philly soul mainstay with Gamble and Huff's organization. Gamble and Huff dreamed up more imaginative metaphors for the quartet's next smash, (Love Is Like A) Baseball Game, later that year. 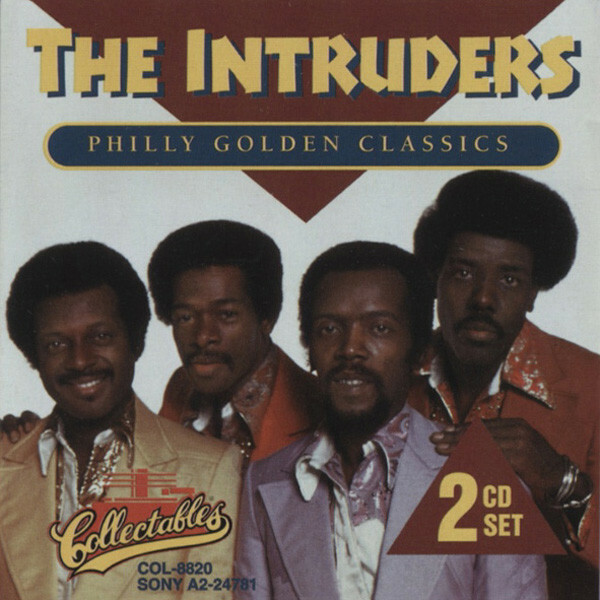 The Intruders remained in the vanguard of the emerging Philly sound as the decade turned, though Little Sonny dropped out for awhile (Robert Ferguson, aka Bobby Starr, fronted their 1970 hit revival of The Dreamlovers' When We Get Married). Brown was back for their moving '73 hit I'll Always Love My Mama and its gorgeous hit follow-up I Wanna Know Your Name, where he introduced himself by name to his romantic interest. Their last mid-'70s singles with the classic lineup came out on Gamble and Huff's TSOP label. A mid-'80s incarnation of The Intruders featured only Daughtry from the original group (he died on Christmas Day of 1994). The 54-year-old Little Sonny threw himself in the Schuylkill River on April 21, 1995 following a struggle with drug addiction and the losses of his wife and mother. Customer evaluation for "Philly Golden Classics 2-CD"